I definitely HAVE to get a pedicure before I can do ANY spring shoe wearing! I've been looking for an affordable pair of #3's. they're a great alternative to a wedged sandal for summer. oooh, I love the Madewell's! as in, I may order them. they would be perfect for spring and summer! I see we're on the same page these days. 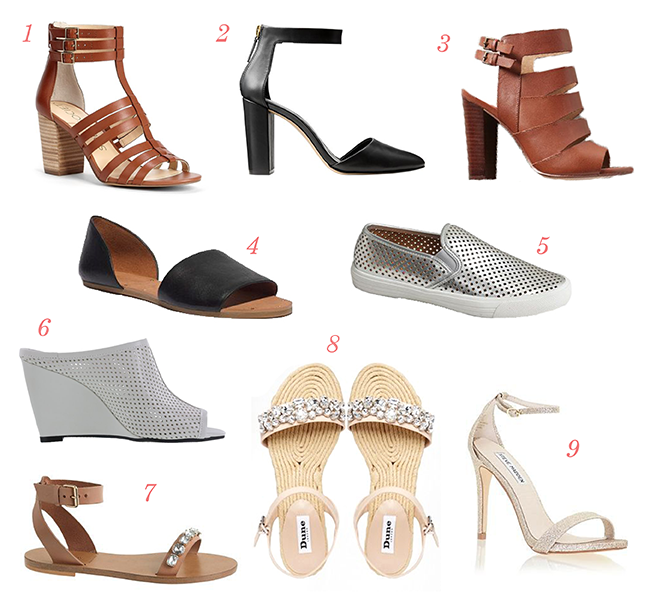 I just posted a round of up spring shoes I'm currently wanting. I just can't wait to pack away my snow boots! love #6 can't believe its from payless! 1 and 8 are my favorites, so pretty!